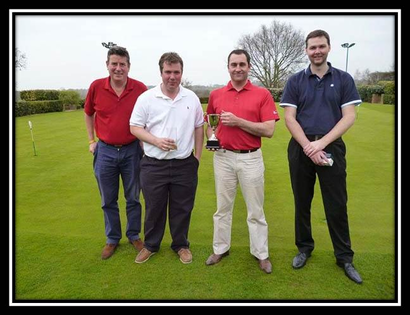 Teams from Brentwood Cricket, Hockey and Tennis Clubs competed against one another in the inaugural Horne Payne Trophy competition at Stock Brook Country Club. Played over eighteen holes of golf off full handicaps this threesomes Stapleford team competition was played in excellent spirits in what we hope will become an annual event between the members of the constituent County Ground clubs. After a morning's golf and a spot of luncheon the scores were accumulated. Individual prizes were awarded for nearest the pin (fourth hole) which went to Paul Webb (Cricket Club) and longest drive (eighteenth hole) to Mike Christmas (Tennis Club). 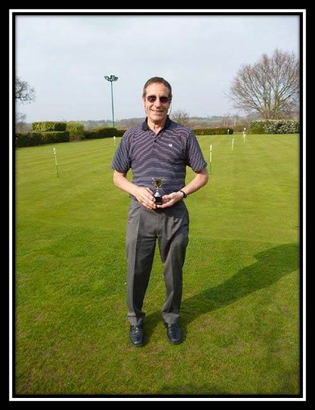 Kim Hanson (Hockey Club) pipped Andy Taker (Cricket Club) on count back to the silver medal for the highest individual Stapleford score with 37 points. But gold medals, champion golfers of the year and inaugural winners of the Horne Payne Trophy with a team score of 136 points were Brentwood Cricket Club! A big thank you to all those members who supported this event and we look forward to spending more time in each other's company in our newly refurbished bar/club facility throughout the summer months. 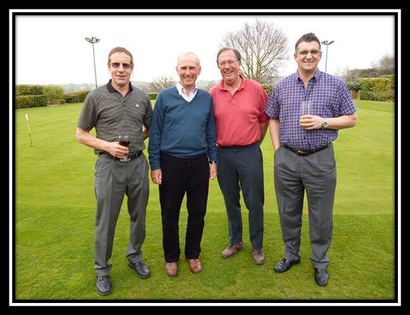 Brentwood Cricket Club (left to right): Rob Coote, Andy Taker, Paul Webb (Capt), Richard O’Leary. Brentwood Hockey Club (left to right): Kim Hanson (Capt), Simon Hughes, Mike Trett, Grant Peters. 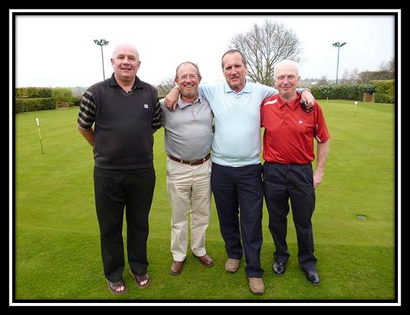 Brentwood Tennis Club (left to right): Alan Morris, Mike Christmas, Paul Gibbs, Barry Crosher (Capt). Silver Medal winner Kim Hanson with an individual Stapleford score of 37 points. 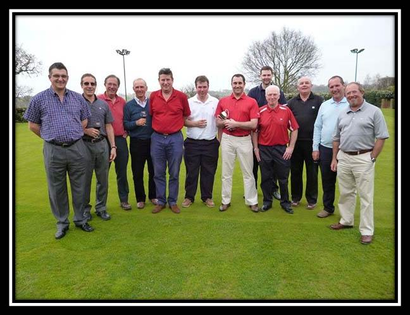 Horne Payne Trophy 2012: members of Brentwood County Ground clubs. Report and photographs courtesy of David Berry.